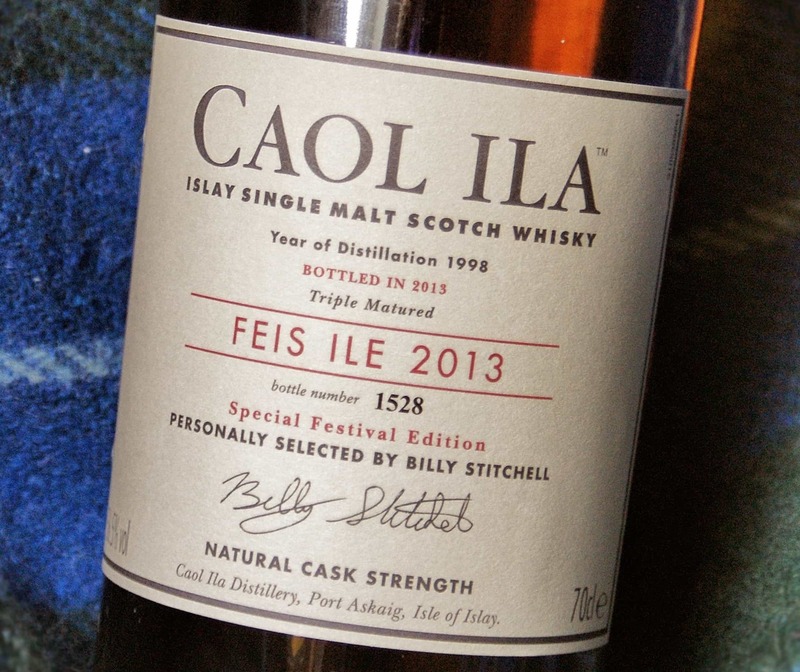 It seems even in the world of whisky, certain releases have built-up excitement attached to them. Anything from the Ardbeg distillery on Islay tends to come with a little bit of hype, but this is well-deserved hype – their whiskies regularly clock big scores in Jim Murray’s Whisky Bible. 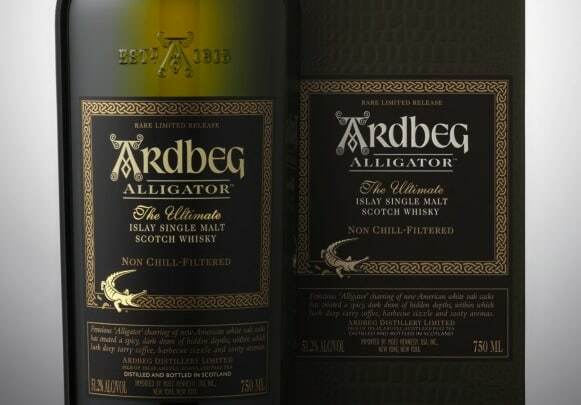 The Alligator, then, is the latest offering from the distillery, so called because of the alligator charring on the inside of the bourbon barrels, in which the real whisky is matured (you know I’m only joking, bourbon fans). Let’s get to it. Colour: a golden real ale, clear honey. On the nose: boom! campfire smoke, barbecued sausages (with barbecue sauce), crispy bacon, a whiff of Chinese Five Spice (I ran to the kitchen spice rack to verify), distant aroma of warmed cider. In the mouth: a medium to heavy weight in the mouth, not as heavy as I expected, and not as mouth-watering as the Ardbeg Uigeadail. All the same darkness as one might expect: very peppery, the smoke is more subtle, again burned meats, quite dry. The sweetness follows, a touch of vanilla. All in all, it’s very similar to its aroma. There’s a minty note on the finish. One thing I am impressed with is that there’s that same obvious Ardbeg flavour, which I think is brought into play by the peat. Anyway, it’s a wonderful constant throughout their range and its present here again. Yes, this is a powerful whisky, and most unusual in its flavour, but it’s not quite up there with the likes of the Uigeadail or Corryvreckan, which are more complex whiskies in my opinion. There’s a more sophisticated texture in the mouth (particularly the Uigeadail, which is one of my favourite single malts, though I’d put this nearer to the Corryvreckan in terms of taste). And I think I’ve been spoilt by offerings from Bruichladdich, which have a fantastic feeling in the mouth and aren’t all about the peat to create the Wow Whisky (even the Octomore, which is subtle with the smoke). Both Bruichladdich and Ardbeg distilleries seem to be interested in experiments with the wood of the casks, which is why I believe they’re both streets ahead of any other distillery right now. They flavours they’re both producing are astounding. Behold the trailer for Ardbeg Alligator, the slightly burnt barbecue sausage (though a delightful one) of the whisky world. I tried this in the Artisan restaurant in Wishaw. The proprieter has a decent range of Ardbeg whiskies and many others. Very spicy, I liked it a lot. Ardbeg is one of my favourite whiskies also. However other than the Alligator I have only tried the 10 year old so far. Thanks for sharing. 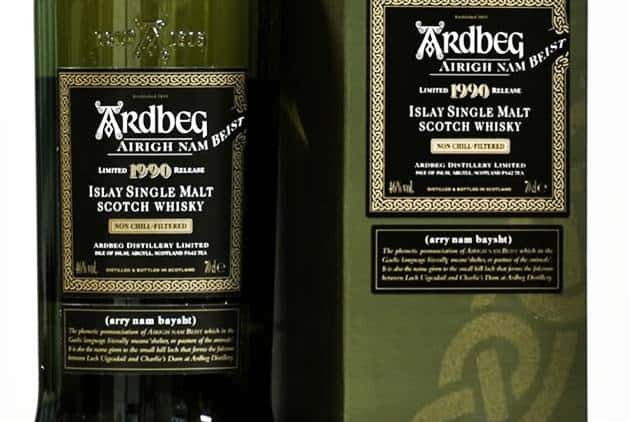 Yes, there are many good Ardbegs out there – the Ardbeg Uigeadail is probably my favourite from the main range, though the 10 Year Old is very good too. I actually think the Alligator is excellent. Barbeque sweetness with a strong spicy lingering smokiness. Love it.